Tom Clancy's The Division 2 is a tactical shooter played from a third-person perspective. The story takes place 7 months after the events of the Dollar Flu which took place in the winter in New York City. The Division, a unit of civilian sleeper agents are the last line of defense in saving the nation's capitol from the villainous bands of marauders intent on taking it over. 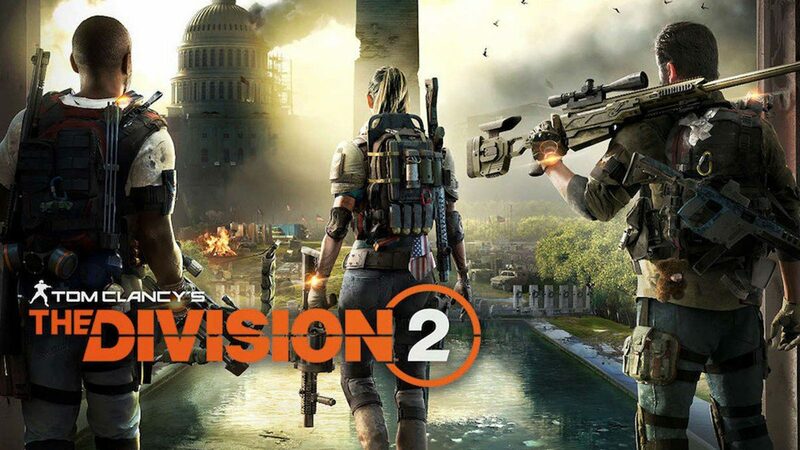 On this page we have our collection of The Division 2 cheats and tips. Below is a collection of hints and tips that will help you to progress in the game. These include unlocking a second weapon slot and looting control points. As well as these tips we also have a Division 2 Guide which goes into more detail on some of The Division 2 tips we have below. Make sure you do the first mission as this will ground you in the story and also give you vital progression. Doing the first mission will also enable you to unlock a second skill slot so you can play with two skills. Once you have unlocked your first skill you will also unlock your first perk. Use it to start unlocking the second weapon slot so you will be able to select a secondary primary weapon to go alongside your pistol so you have access to two different weapons as soon as you loot a weapon in the world. Check out our How to get Mods page to find out how you can add mods to your weapons. In The Division 2 you will encounter enemies that will be wearing armour plates. Search for the weak spot in their armour and focus on that one piece so you wear the plating down, once the plating has gone the enemy's health will rapidly drop. The weak spot on an enemy's armour tends to be a red colour. Agents also wear armour for protection in The Division 2 and like the enemy armour if the plating fails your health will fall very quickly. If your armour does go down you have to be very careful and make sure you use an armour kit to repair it as soon as possible. All the armour pieces that you pick up in The Division 2 is branded and if you collect items of the same brand they will unlock talents. When you get two gear items with the same brand you will unlock a talent, three will unlock a stronger talent. These bonuses max out at three items. You will come across control points while you are out on the streets that are basically barricaded spots on the road. Control Points are scattered throughout the world and taking a Control Point is simple. You must defeat all the enemies in the area and then hold the area with your allies for a set period of time. Once the enemy has exhausted all their reinforcements and you have killed the boss, the Control Point is yours. Participating in these activities in The Division 2 can earn you great rewards. Looting in the Dark Zone is now a lot less dangerous than the previous game where you were looting contaminated loot and had to extract it. In The Division 2 you can loot and send it straight to your inventory without extraction. We hope these The Division 2 tips help you out in the game, but for further help, try our beginners guide, we also have some FAQs for The Division 2, you can also submit your own questions there for other players to answer. How do you unlock mods? How do you find SHC tech caches? What is the best way to get XP? Have a question for The Division 2?